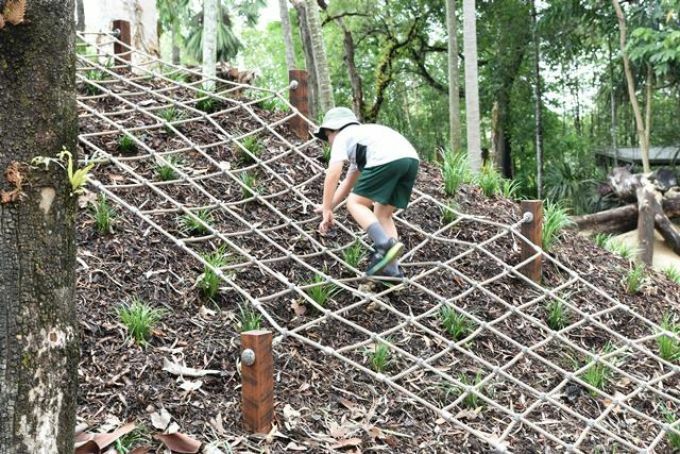 A children’s playground with a difference, the Nature Play space encourages children to interact with nature; to explore and learn about their surroundings. 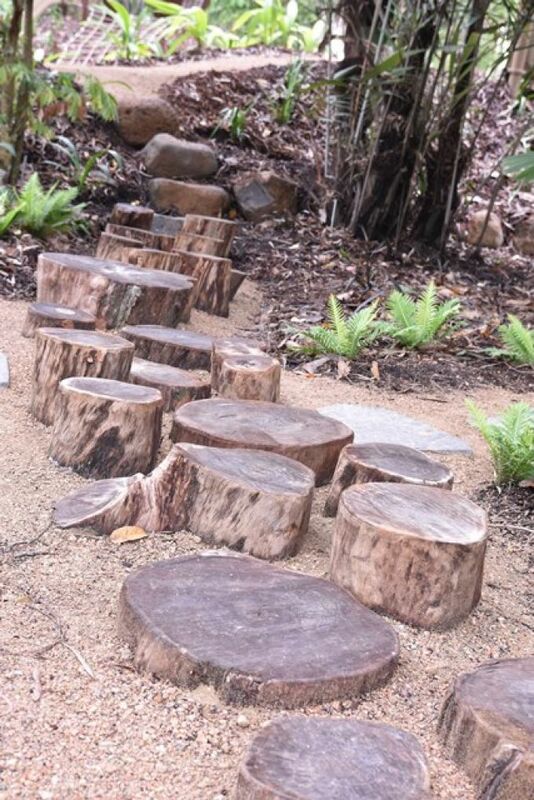 It integrates creative play elements with the natural lakeside environment. 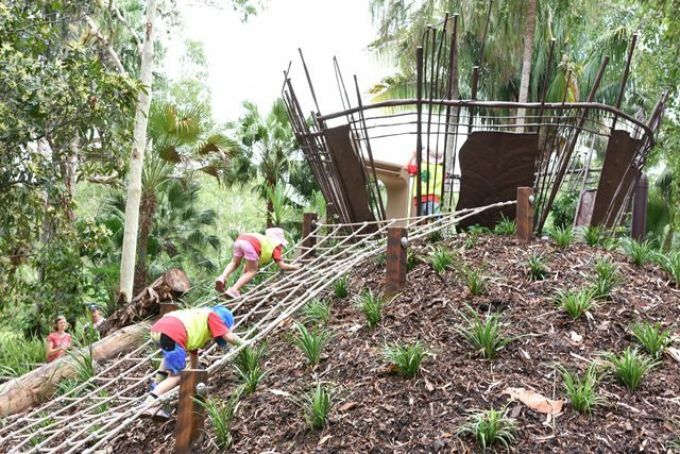 Features include dinosaur bones to uncover, ropes to climb, play huts to build, a fairy garden, rope climb, tunnels and a digging patch, as well as new pathways, bubblers, irrigation, signage and CCTV. 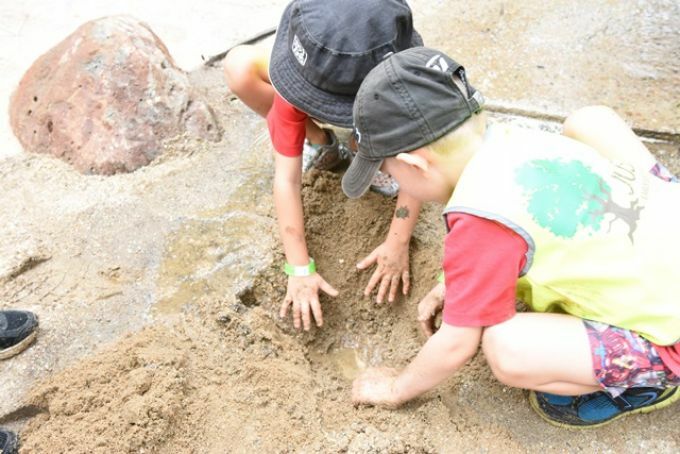 The nature play concept supports unstructured outdoor play, which has been shown to have a positive impact on children’s cognitive and physical development. 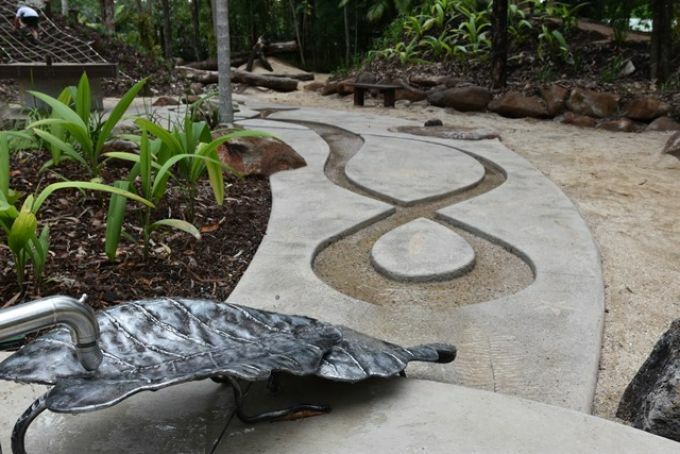 It focuses on enjoying the outdoors and exploring the simple wonders of the surroundings. 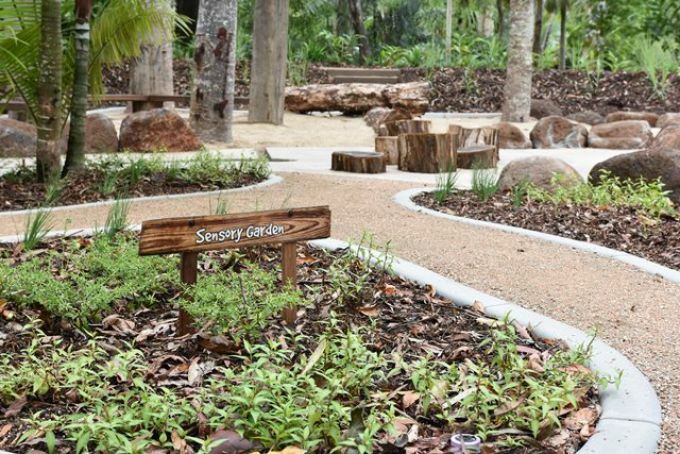 The concept was developed after consultation with Botanic Gardens staff, the Friends of the Botanic Gardens, children, parents and educators at local daycare centres and play groups, and broader community feedback. 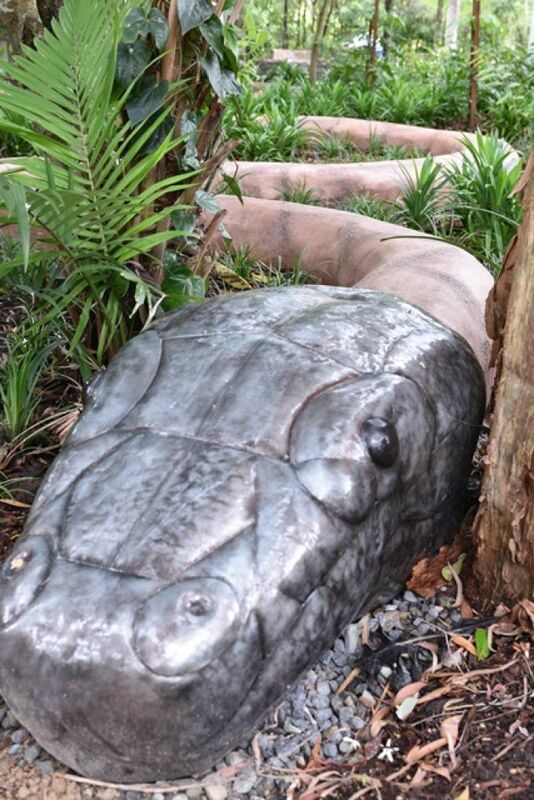 Please note that dogs are not allowed at Centenary Lakes. 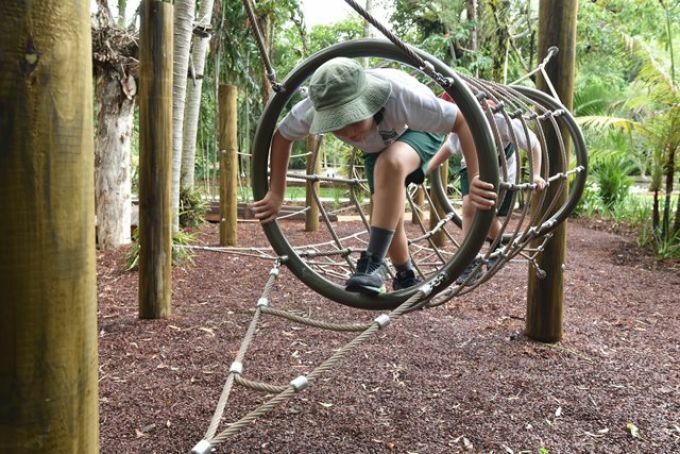 The new nature-based playground at Centenary Lakes was officially opened on 22 November 2017. 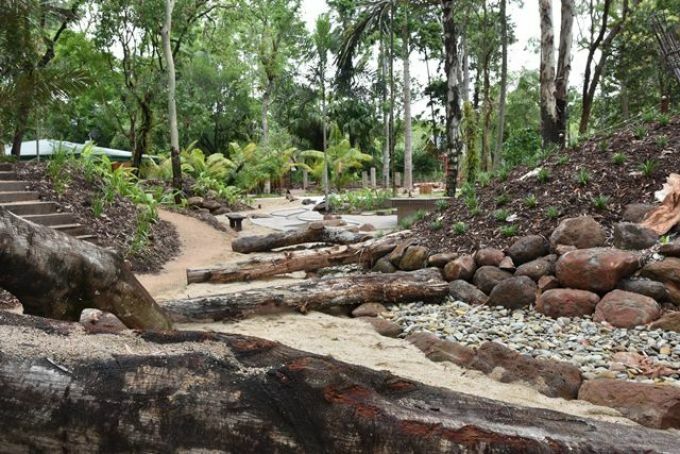 This project was delivered with a $750,000 contribution under the Queensland Government's Works for Queensland (W4Q) program, which provided $15.5 million to Cairns Regional Council to fast-track job-creating community and infrastructure renewal works.